As I’ve said before, the aim of RTV is to get several cars out on track again. Last weekend, I took a very rare look at some of the cars we have in storage. 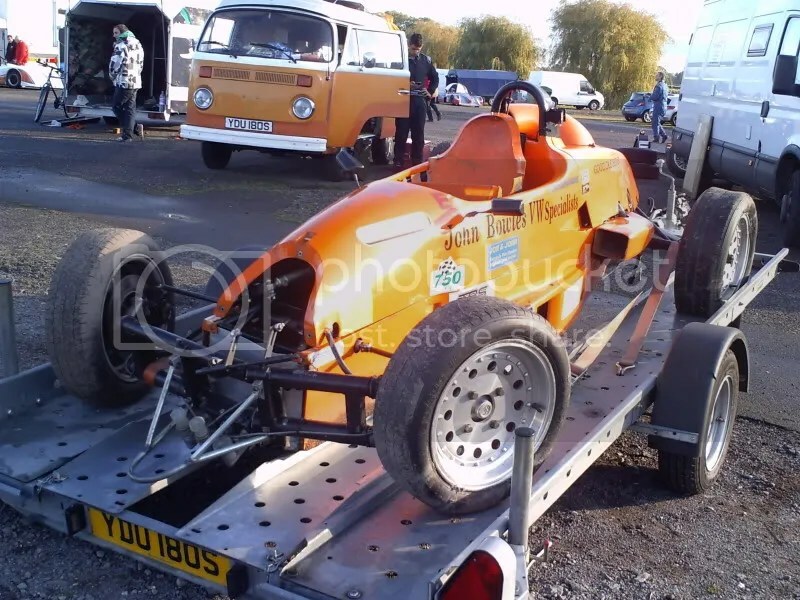 This is Glenn Hay’s Scarab Mark 1 that he won the UK championship in. It’s still the car that he wants to drive again – and that’s not too surprising when you consider how many races he’s had in it! You may also know this as the car that Ian Flux won the title with. It’s been well stored, and since it’s been sat here since 1999 it’s in amazingly good condition. Initially we were going to repair the Ray, but now this looks like a more viable option to get back on track first. 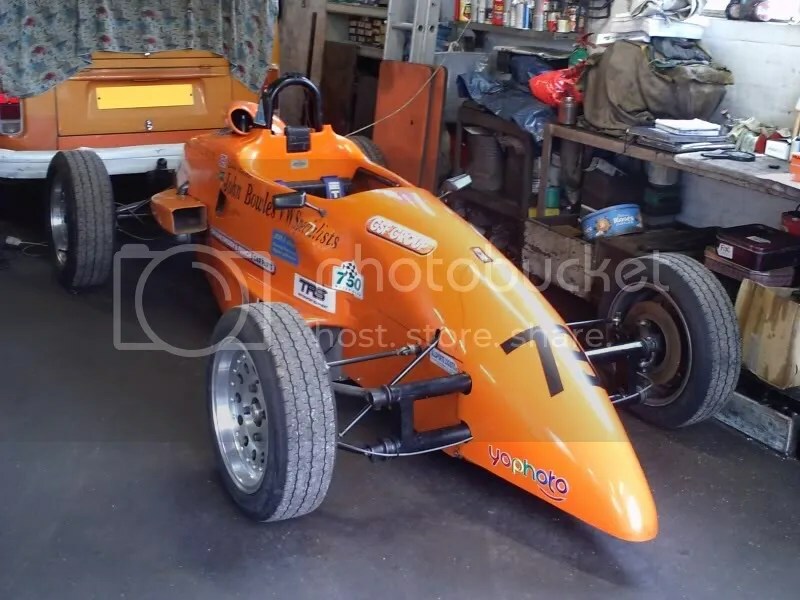 At worst you should see Glenn back in this for the Formula Vee Festival at Brands Hatch at the end of the year – and it might even make it to the 50th Festival at Cadwell Park! This chassis was initially known as a ‘Swift’, but then the name was changed. To swallow, possibly. Built by Clive, driven by Dave. Tim Flynn got 3rd at Donington in wet. There is no current plan to get this one back on track. The red rear cowl you can see on top of the Mini Cooper (and that’s a whole other project that Glenn wants to get track prepared!) is from Glenn’s first ever Vee – a Landar. 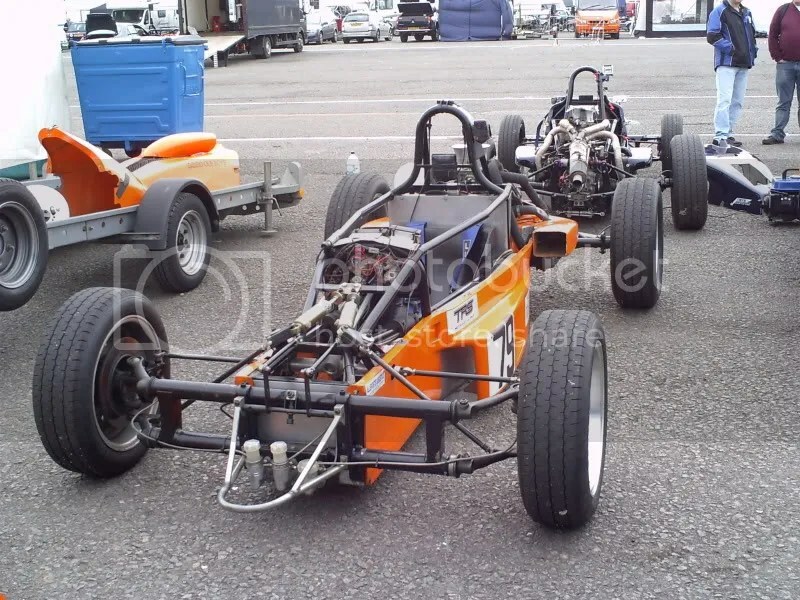 Arguably the most significant Formula Vee here, this is certainly of the most value historically. This is the Beach which won the first ever UK Formula Vee race in 1967. Not only that, but the winner was the excellent Jenny Nadin. Glenn acquired this in the early 80s when it was known and run as an Express Vee by VW North London. 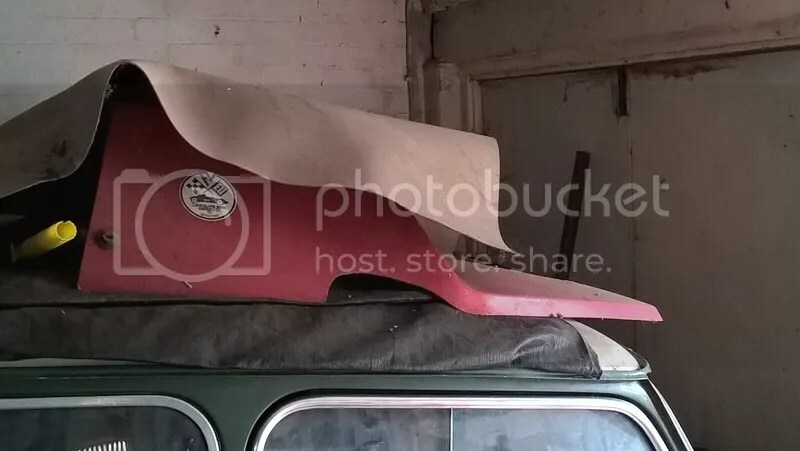 Its heritage was traced back to the car driven by Jenny Nadin as it has has packing behind the front beam which was done by Stuart Rolt as part of a repair. 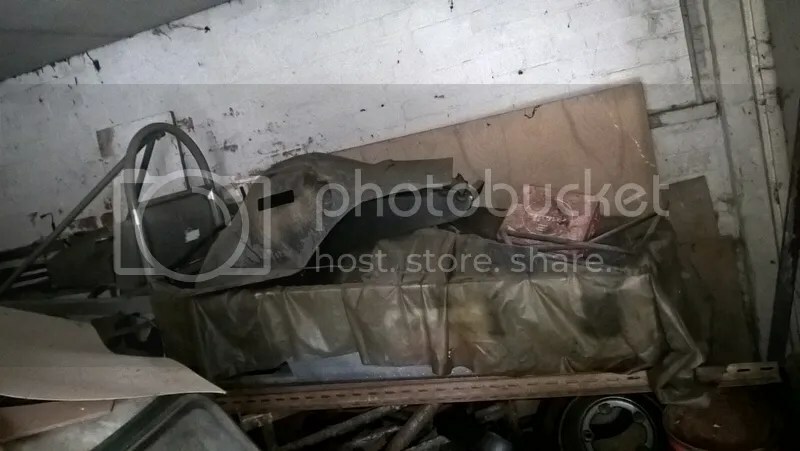 Although it looks abandoned, there has always been a plan to have this car back out again. It will take a lot of clean-up work but isn’t as bad as it may look buried beneath tins of Roses! 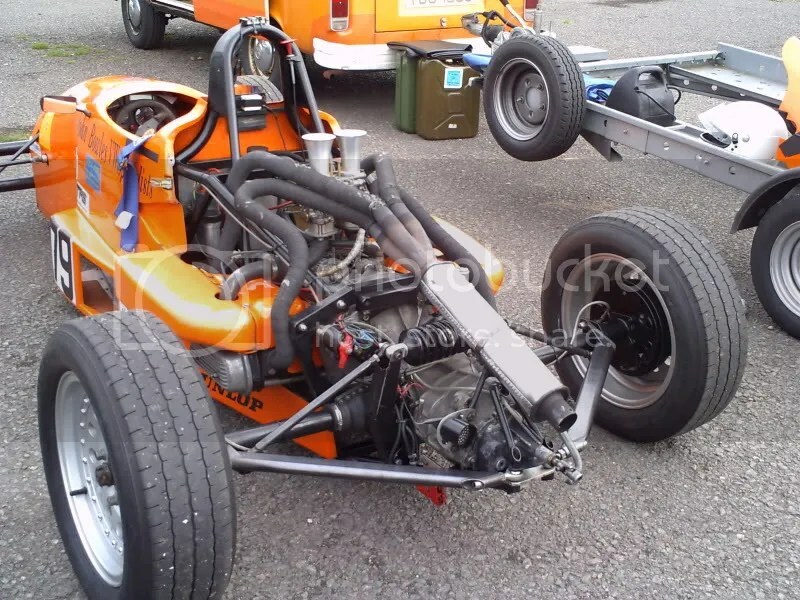 This is the 1997 Ray, last driven by Rob Cowburn and crashed at Mallory Park. It is the sister car to that currently driven by Mark Egan, although there are some differences between the rear suspension on each car. You should see this one track ready before the end of this year, too. 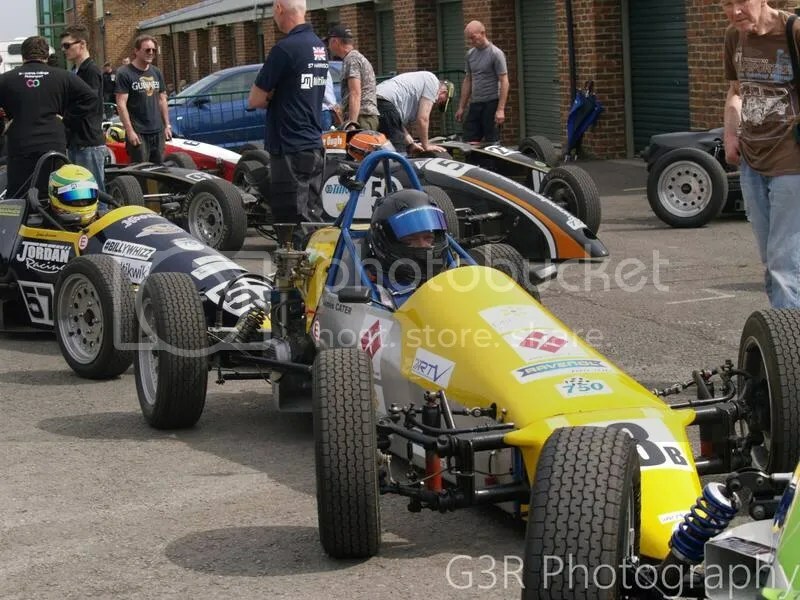 And, of course, there is still the 1997 Sheane driven by James Cater! This car actually won the B Class championship when Rob Cowburn drove it in 2009.